Tomato ketchup is one of those things you don’t really think to make. The stuff you buy in the store is so ingrained into your taste buds that you might find it hard to think that making your own tomato ketchup will ever be as good. 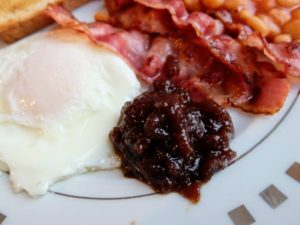 This is one of those recipes you just have to try, give it a go once and you will be surprised at just how good homemade tomato ketchup can be. Is Tomato Ketchup A Preserve? Is It Worth Making Tomato Ketchup? How Long Will Homemade Ketchup Last? You may think that tomato sauce is going to use a whole load of tomatoes. The truth is that a glut of tomatoes is great for making ketchup but I do not often have access to large amounts of tomatoes. If you grow them yourself you might have a decent amount but I don’t. This is the reason I use tomato puree. Tomato puree take out a huge amount of work when it comes to making tomato sauce. Tomato puree is made by removing the skins and seeds of the tomatoes and cooking them down into a paste. This is something we would have to do ourselves with fresh tomatoes so a large amount of work has been done for us. Most definitely, tomato ketchup is a condiment which has vinegar and sugar working together as natural preservatives. In tomato ketchup we have almost as much vinegar as tomatoes. Along with this sugar is used which is another preservative as it draws water out of cells. 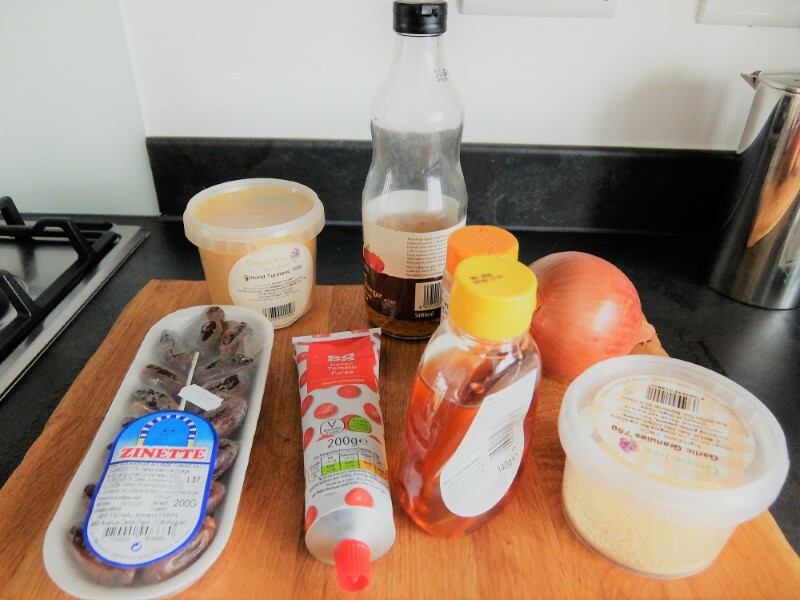 The amount of sugar in this recipe is actually quite low compared to most ketchups and comes primarily from the dates which are often preserved in glucose. We all know a love store bought ketchup, everyone knows what it tastes like and what it goes on. So, is it worth the bother of making your own? Yes, every once in a while I like to make my own tomato ketchup. 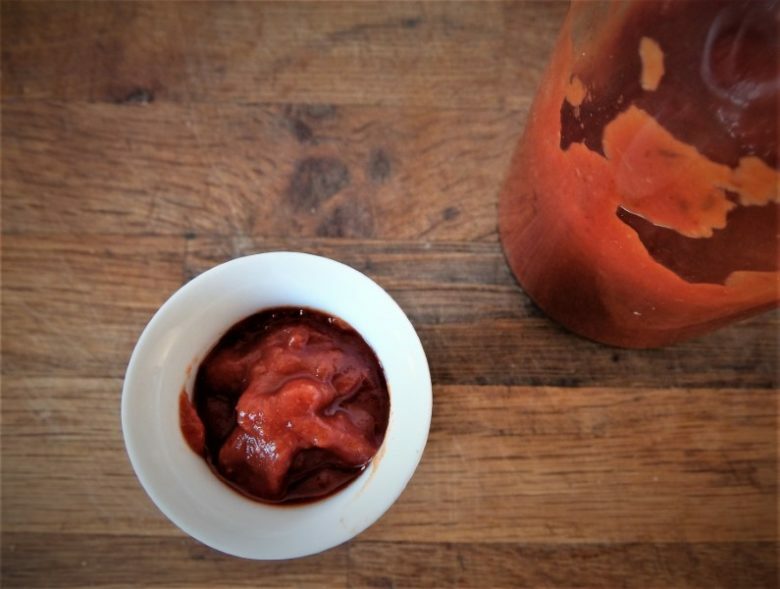 People love it when you get out a nice bottle of homemade ketchup and when they taste it they usually ask for the recipe so give this one a try. 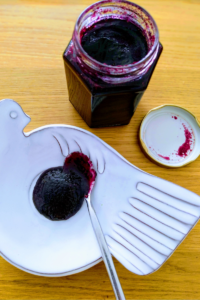 This recipe makes a ketchup that will keep for a month or so. 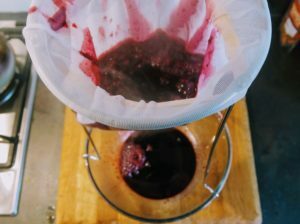 There is quite a large amount of vinegar that prevents spoilage. Keep it in the fridge after making and it will be good for a month. It is so delicious though that it shouldn’t be around for that long! Begin by coarsely chopping the dates after removing the stones. In a heavy bottomed pan heat 250ml water and add the cider vinegar, chopped dates and honey and bring to the boil. Simmer for a few minutes and then remove from the heat and cover. Leave for an hour or so. After an hour the dates will have softened slightly. Stir in the tomato puree, onion, garlic, salt and spices. Bring to a simmer over a low heat and simmer for 30 minutes. Take care not to scorch the ketchup as it reduces down, add a little water if required. 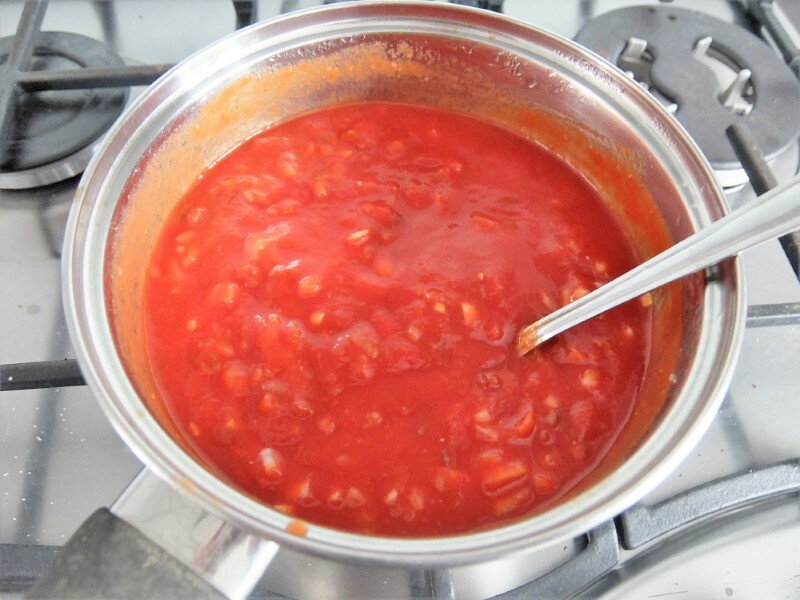 After the tomato ketchup has been simmered for 30 minutes thoroughly blend until you have a smooth consistency. The tomato ketchup can be passed through a sieve (food mills are particularly good for this) if you like but I do not find it necessary. 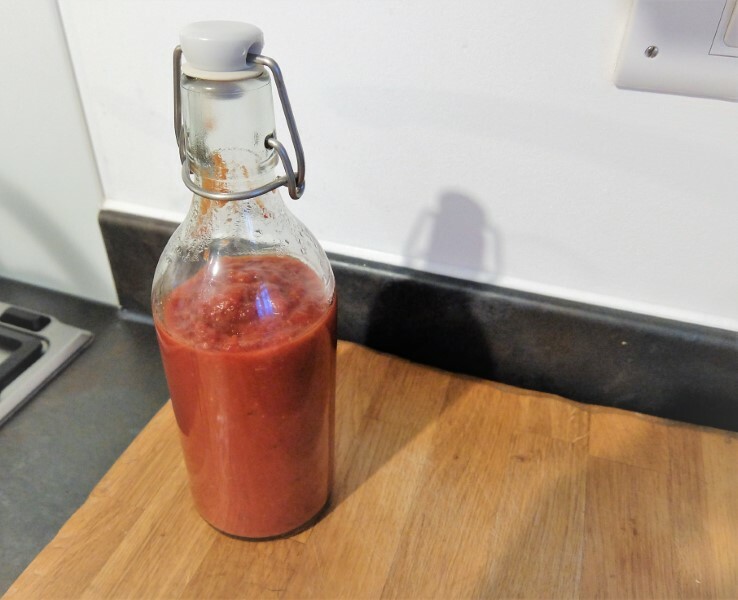 Transfer the ketchup into a sterilised airtight glass jar or bottle and allow to cool. Keep in the refrigerator for upto one month.